I am thrilled to be returning to New Orleans to teach in the beautiful studio of Kate Beck! 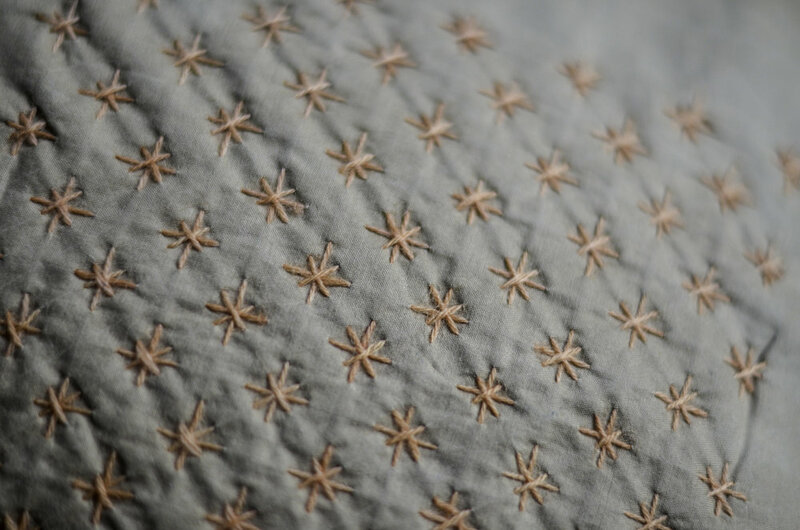 Participants will learn the basic stitches and patterns of Sashiko stitching, along with a brief history behind Sashiko stitching and its origins as a decorative utilitarian stitch. After learning the basic rules of Sashiko, participants will then be encouraged to bend those rules and develop their own stitching voice. Students are provided with naturally dyed fabric for stitching on, along with Sashiko thread and other naturally dyed thread for stitching. They will leave with at least 4 stitched swatches. This workshop is open to all experience levels and is geared towards beginners. Lunch will be provided.